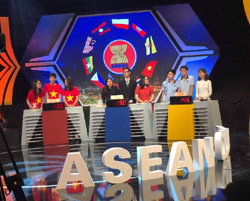 On November 9th, 2018, the competition “Explore ASEAN 2018” took place in Hanoi, its participants including three teams consisting of students from Hanoi - Amsterdam High School for the Gifted (from Hanoi), Le Quy Don High School for the Gifted (from Da Nang), and Le Hong Phong High School for the Gifted (from Ho Chi Minh City). 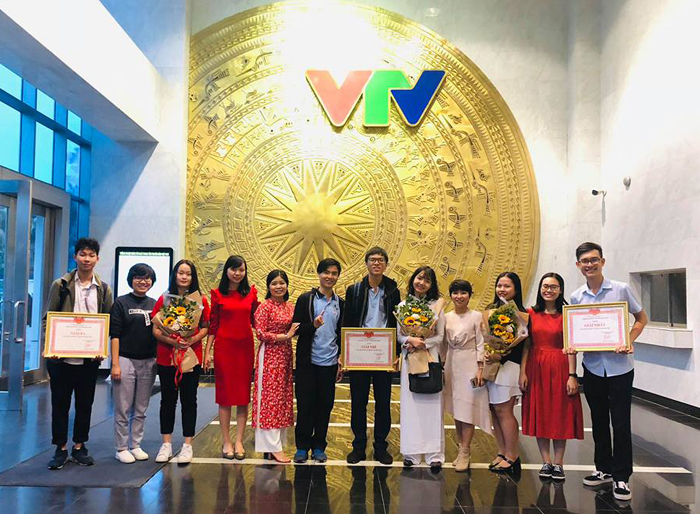 Each of these teams represents students from the three regions: Northern, Central, and Southern Vietnam, respectively. This contest is part of a project launched biannually by the Committee on Culture and Information ASEAN - COCI with the aim of increasing knowledge on the member states regarding their people, culture, economy, and politics. The competition is set to further enhance cooperation and understanding among ASEAN member states. The final result was announced at the end of the contest, and Le Quy Don High School for the Gifted from Da Nang won first place with a total of 190 points, while Le Hong Phong High School for the Gifted and Hanoi - Amsterdam High School for the Gifted won second and third place with 145 and 135 points, respectively. Therefore, Le Quy Don High School for the Gifted would represent Vietnam and participate, along with the other 9 member states, in the regional competition taking place in Indonesia in December. 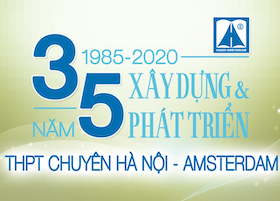 Hanoi – Amsterdam ranks 1st based on university entrance results 2012 among Hanoi high schools.